Castlevania Puzzle: Encore of the Night, an iPhone exclusive match-3 puzzle game inspired by Castlevania: Symphony of the Night, has finally graced the U.S. App Store after first being released internationally about one week ago. When we first revealed that an exclusive Castlevania title would be coming to the iPhone and iPod touch and that it would be a puzzle game, fans of the series got a bit up in arms regarding the decision, and that's putting it nicely. However, after having a chance to give it a quick try, I have to say it's more than meets the eye. Castlevania Puzzle: Encore of the Night is a match-3 game of sorts on the surface, but it's loaded with RPG elements that add tons of depth to the game. Pieces fall two at a time from the top of the screen, and you can flip them Tetris-style before dragging them to their permanent place at the bottom in order to match at least three-like colors. Each player has a certain amount of health points, and matching blocks and casting spells will deal damage to remove those points. Be the first to remove your opponents HP entirely to win. But that's only touching the surface. 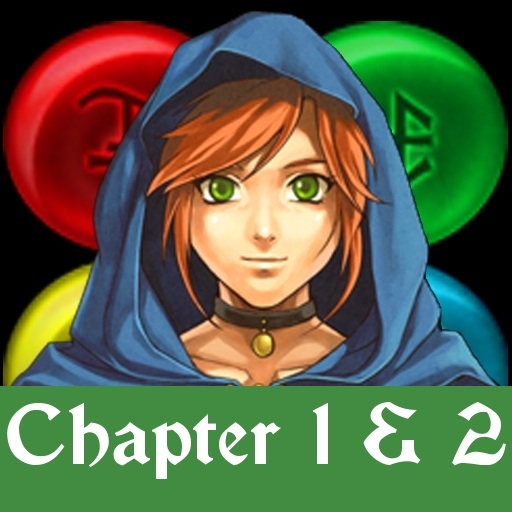 The game contains all kinds of ways to deal damage to and protect yourself from your opponent. You can unleash counter attacks, upgrade your stats, add equipment to your character, and so on. 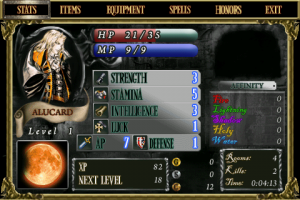 All of these additional RPG elements make it feel a lot like Puzzle Quest, which is obviously a very good thing. 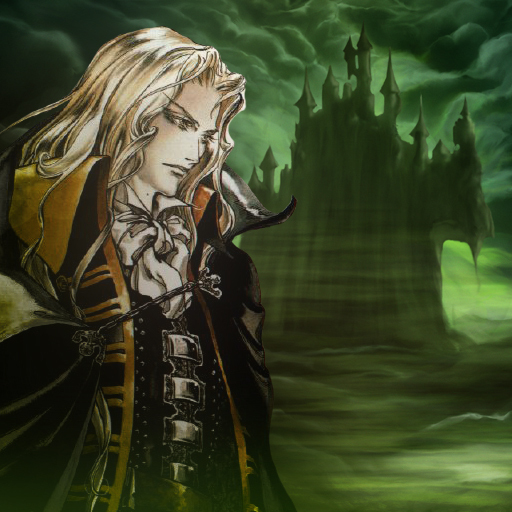 Fans of the series will be happy to know that the game includes original Castlevania graphics, characters, environments, music and more, all inspired by one of the best games in the series, Castlevania: Symphony of the Night. It features an arcade and story mode, the latter of which is said to take up to 20 hours to complete, Facebook integration, and 20 honors to earn. 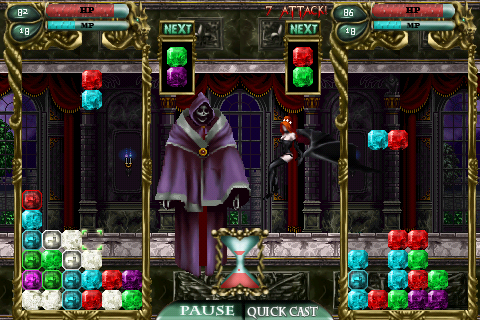 If you can't get over the fact that this is indeed a Castlevania-inspired puzzle game, just block it out of your mind and pretend it never existed. 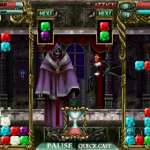 If, however, you are fan of matching games that feature deep RPG elements, Castlevania Puzzle: Encore of the Night is one not to miss. It's priced at $4.99.